Need more pixels on your laptop? Then this is the competition for you! 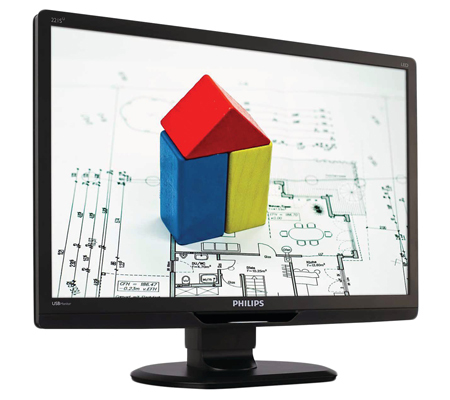 We've teamed up with Philips to give you the chance of winning a 21.5in Simplicity with USB monitor. Offering a 1,920x1,080 resolution, this neat display is designed to hook up to your laptop or PC using a single USB 2.0 cable that provides both power and video! With true plug-and-play operation and a single cable connection, you can say goodbye to clutter and enjoy full-HD visuals on a PC or Mac. I want to win this, just to see if it actually works! Interesting idea, I guess this is the biggest USB-powered monitor available currently? Yeah, 1080p monitor with power over USB 2.0 :surprised: Crazy. I dont understand! Isn't USB power 500ma @ 5v ie maximum 2.5 Watts. Aren't even energy efficient monitors usually consuming 15-20W? I'm probably showing a fundamental lack of understanding of anything, but there we go! Wow, power and video via single USB 2.0 port? Another great competition, thank you Hexus. Good prize, entered! Thanks again Hexus!